SELECT YOUR DEVICE TYPE AND GO BUY IT! 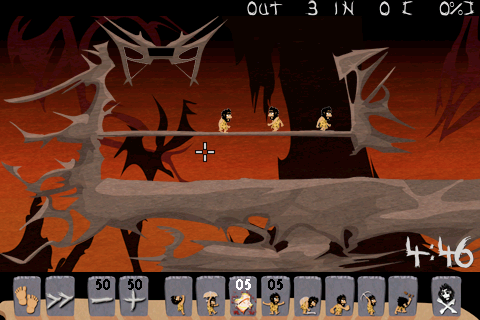 Caveman is a game where the goal is to guide Cavemen to the exit on the level. 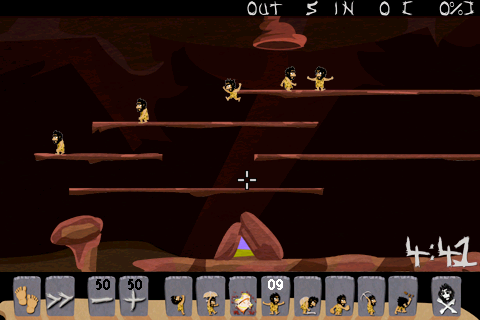 Each level has a set of requirements to complete where a combination of skillsets may need to be used to solve the level - there is more than one solution available; how many cavemen can you save! With four difficulty levels (easy, medium, obscure, insane) and 120 levels this game is guaranteed to bring you hours of enjoyment and gaming addiction! follow us on twitter @mobile1up - we post one occassionally! we have posted all the solutions to all 120 levels to youtube if you get stuck! Great game! Very similar to an old DOS game called Lemmings that spent many hours on. This looks like Lemmings, tastes like Lemmings and smells like Lemmings, except it isn't Lemmings. Or is it? Well, the level design and texts are taken from the original game but the graphics and sounds were changes to a very nicely done stoneage setting. Playability is quite good though sometimes you miss a caveman. 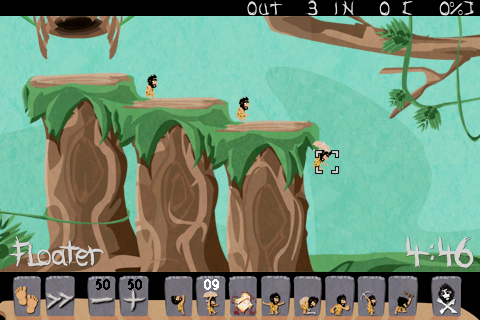 All in all a very good Lemmings clone! Great re-imaging of a childhood favourite - Lemmings. Can't wait for more levels. If you like lemmings or spirits (another app store gem) then you'll love this game. The gameplay is smooth, sound fx are fun, and the levels are cool & creative. Definitely worth downloading. This is going to be a hugely popular game! Brings back great memory's of playing Lemmings all those years back. I think with the planned updates this game will become better & better with improved difficulty with each update & hopefully more...! I'd recommend this game to all angry bird fans and anyone that loved Lemmings back in the day. Well done game developers! This is a wonderful reincarnation of a 90's classic. The graphics and sound are, as expected, a bazillion times better than the original, but the addictive original gameplay is still there. The detail in the levels is immersive, if you find time to look around - some of those later levels mean no time for tourism! 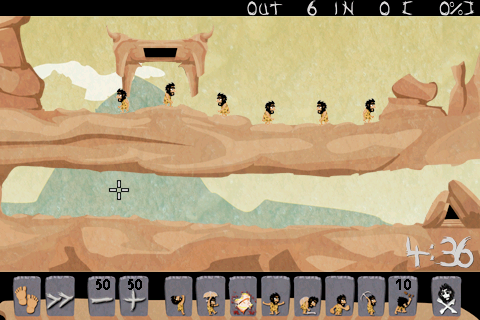 :-) Money well spent, and anyone who loved the original will be captivated by Caveman HD.